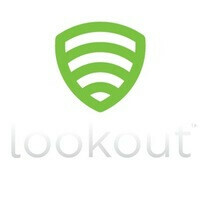 Lookout Mobile Security is one of those companies dedicated to studying and fighting mobile malware. Its Mobile Threat Network gathers usage data from about 15 million devices worldwide, which is used to better understand how malicious software works. Unfortunately, Lookout's mobile threat predictions for 2012 do not look good. The company estimates that over a million dollars have been stolen from Android users in 2011 alone, and that even more will end up in the wrong hands over the course of next year. Furthermore, the malware business is expected to rake in more cash than ever in 2012, despite being considered a criminal act. Lookout's analysis shows that today, Android users have a 4% chance of encountering mobile malware – a figure that stood at only 1% at the beginning of 2011. Additionally, the report reveals that the chance of an Android user clicking an unsafe link while browsing the web has risen to 36%. Mobile pickpocketing and botnets are also evolving, according to the report. In 2012, mobile malware is expected to keep on stealing money from unsuspecting smartphone owners by sending text messages without their consent, while botnet-like attacks will distribute spam, read the private data of users and pave the way for other malicious software to be installed on a targeted device. Not too bright of a prediction, don't you think? Well, as long as you do not browse any suspiciously-looking web pages, don't download apps from shady sources, and don't tinker too much with your smartphone's software, you should be fine. Others even believe that mobile malware is just a load of hot air, so there might be little to worry about after all. These is a very detailed report. Surely it's for any mobile but espacially android. "The company estimates that over a million dollars have been stolen from Android users in 2011 alone" (doesn't look so good for android) "Android users have a 4% chance of encountering mobile malware – a figure that stood at only 1% at the beginning of 2011" (4% is rather much, I know you say you don't got an issue, that's ok (for now)) The end says nothing really worry about. As long as you do not browse any suspiciously looking web pages, etc. And that is the same caution you must have with any platform. There is no antivirus that can stop you from giving your info away out of free will. And that´s how most people usually lose money. A false bank website, or false webstore. Commonly known as phishing. I don't know who to believe in this matter. Sure there will always be people who do make profit on an anti-virus that doesn't work. can you post what's on the article? Im at work and i cant go into google plus. Oh come on! It is a mobile "security" firm. They are scammers. They are only trying to promote their business and there is no way that their opinion will be unbiased. At least in PC's, anti virus companies usually release viruses into the internet to promote their own product. So what fraction of this mobile malware are actually apps that claim to protect you from mobile malware, but is actually malware itself? The problem here is how can you trust someone telling you have a problem when this same person is selling you the solution. There is clearly a conflict of interest. I have to eat some of my own words. Just read on Engadget that Google removed 22 malicious apps, tipped by two security firms. So even though there is conflict of interest and an antivirus wouldn´t help in this situation, these security firms could and would help on making Android safer. I would trust a hacker that has no interest in selling a solution, but wants to show exploits and flaws. Then we find out things like this. http://www.wired.com/gadgetlab/2011/03/hacking-android-windows-phone/ The article basically says that in a hacking competition, Android and Windows Phone 7 couldn´t be hacked and iOS and Blackberry were. I´m not saying things haven´t changed since March, but the lack of security on Android is apparently over hyped.